It shows that as usual in his youth, DW was over-spending his allowance. DW's unit was sent to Salisbury Plain in August 1916. Part of the time seems to have been spent rather pleasantly, but towards the end of the period things took a distinct turn for the worse. A decision was taken to replicate a section of the front line at the Western Front on part of Salisbury Plain using some 500 men. It had been raining intermittently, but as they settled in the rain became continuous and the men began to fall ill. Almost 200 of the officers and men became so ill they had to be evacuated, and two died. In the midst of this, the commander officer Brigadier-General Peel decided to make an example of some officers to encourage the others, and his eye fell on an ailing DW. The ever gallant Colonel Clark saved the day by exaggerating the Wheatley family's connections and saying that if Peel wasn't careful, the Wheatleys would get questions about the wisdom of continuing with the exercises asked in the House of Commons. 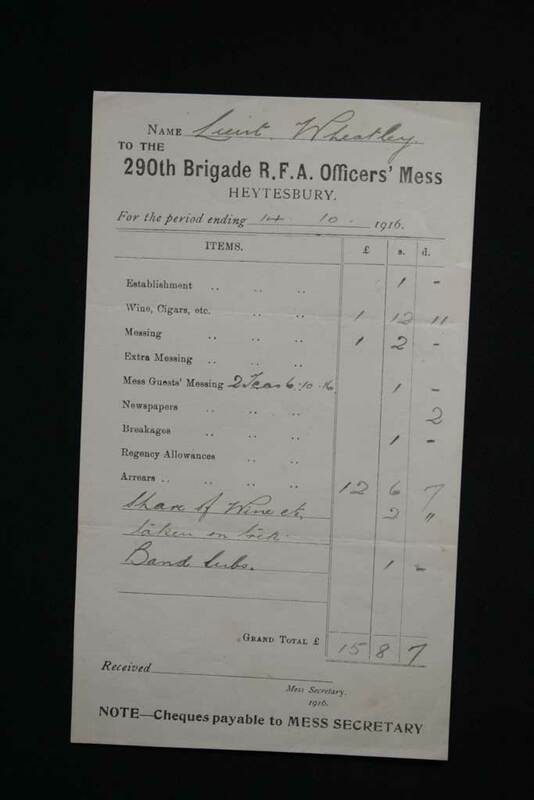 The General then offered DW a promotion to staff Captain in charge of three companies of trench mortars at the Front. Little did DW (or Colonel Clark for that matter) know that if he had taken up this post, it would almost certainly have left him dead within a very few months. Years later, DW was to put the knowledge he had gained of Salisbury Plain to a rather different use - as the background for some of the most important chapters in 'The Devil Rides Out'. References : 'Officer and Temporary Gentleman' Chapter Ten. See also 'The Devil Rides Out' Chapters 13 - 20.